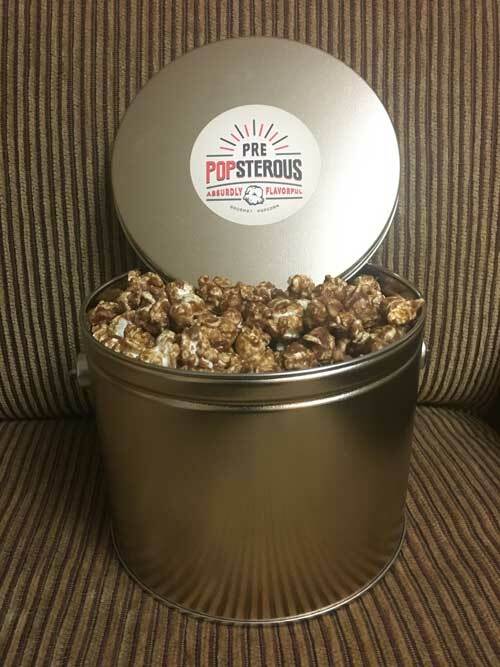 A tin filled with our absurdly flavorful gourmet popcorn of your choosing. 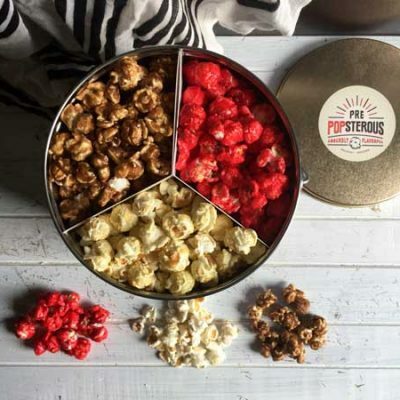 You can customize each tin with up to three flavors from our various sweet and savory gourmet popcorn offerings. Pick from three solid colored tins, and dress these up for any gifting occasion. 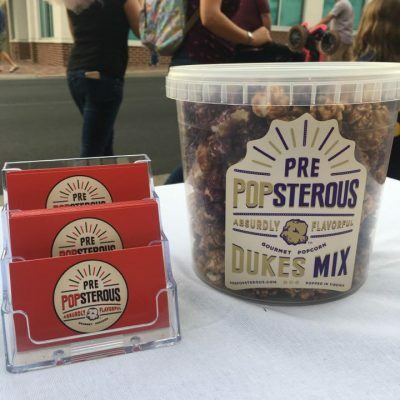 Tins are packaged and sealed to preserve freshness, and the soft and tender center of the popped kernel. Popcorn will remain fresh for up to 3 months until seal is broken. 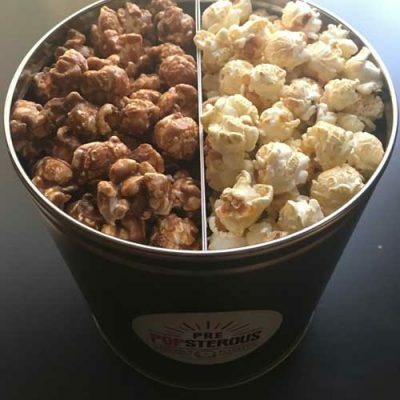 Once opened, the fitted lid will help keep your popcorn fresh for 2-3 weeks.